The highest volume and most active day trading contracts are the 10 Year T-Notes, Emini S&P500, Crude Oil, Emini Nasdaq (our most recommended day trading contract) EuroFX, Soybeans and Gold. Also, Boomerang Day Trader shows an incredible track record of very excellent, consistent winning trades on NQ as I demonstrated on my recent NinjaTrader sponsored “Trade Like a Pro” webinar. You can view the webinar below where I showed Boomerangs over 80% winning trade setups. The incredibly simple method used now as our Core Boomerang Trading Method is shown in great detail with the charts spread out so you can see all the intricate details of entry and exit of each trade. You can stop/start the video to examine each trade carefully. Be sure to hit “Full Size” also. Here are two new Video Tutorials that show trade setups on BDT for Thursday and Friday and Friday’s T-Note (ZN) trade setups. Keep in mind that these are hypethetical demonstration trade setups. *Many Boomerang Day Trader owners are reporting very excellent results ON ALL ACTIVE DAY TRADING CONTRACTS and now with the Dynamic Trend Bands trading with Boomerang has become even clearer and easier to understand. Just remember that futures trading is risky and only risk capital should be used. There are no guarantees in trading. *The 60 trades over the period shown on the webinar using the above configurations on 4 NQ contracts showed a gain of approximately $9200 after commission hypethetically after a week and a half of sessions. So please watch the webinar and the video tutorials and let me know if you have any questions. 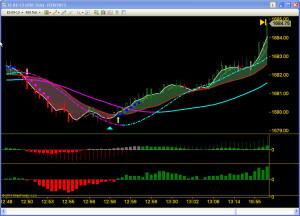 The new precision accuracy you will see in using the Dynamic Trend Bands on Boomerang Day Trader will blow your mind! After 6 months of intense testing and research I am thrilled to offer you my new Dynamic Trend Bands as an add on Chart Enhancement for Boomerang Day Trader. The Dynamic Trend Bands will work on any chart, futures contract or active stock to add incredible clarity and precision to your trading. 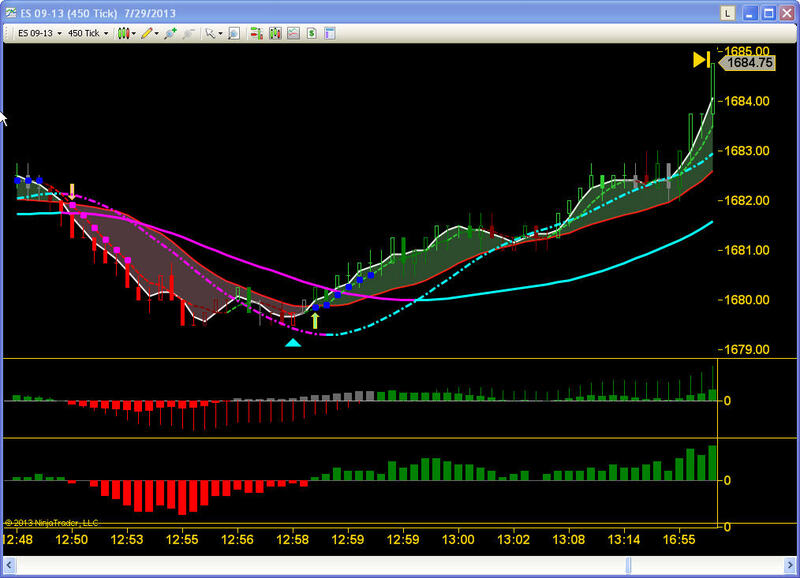 You don’t need to own BDT to use the Dynamic Trend Bands.